Dennis the Menace was a hyperactive five-year-old boy who tormented his parents endlessly with his anarchic behaviour. 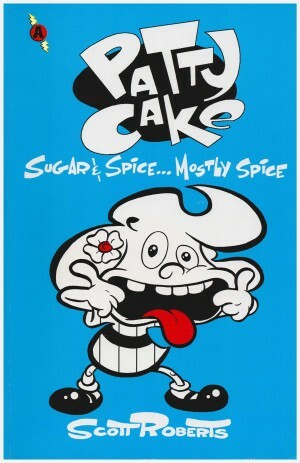 The single-panel black and white cartoon with a caption underneath began in 1951 and eventually appeared in thousands of newspapers worldwide, second only to Charles M. Schulz’s Peanuts in popularity. 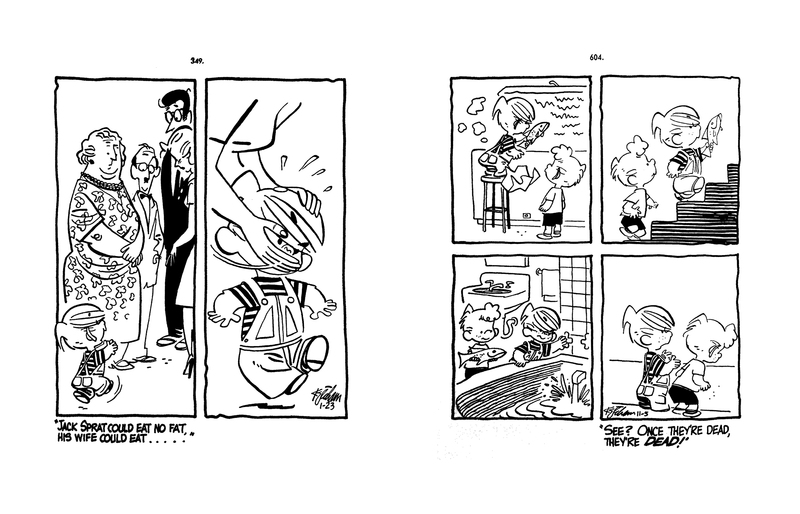 Volume two of Hank Ketcham’s Complete Dennis the Menace features every panel written and drawn between January 1953 and December 1954, in a sharply designed square hardcover book almost 700 pages long. The ribbon bookmark stitched into the binding is very useful. It’s introduced by comics historian R.C. Harvey, who knew Ketcham and was invited by him to try out drawing Dennis, to become one of his assistants on the daily newspaper cartoon. Harvey decided not to pursue the job, but his intro supplies interesting biographical detail on the man behind the phenomenon. Ketcham was as sharp a businessman as he was an artist. 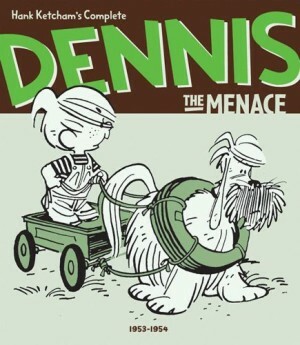 As Dennis the Menace turned into a global publishing and merchandising juggernaut, he oversaw everything personally and employed writing and drawing aides to help him produce all the books, comics and other material needed to feed the industry he’d created. Dennis and his parents the Mitchells lived in a big North American city, which Ketcham explored in escapades that took the three characters everywhere from their beautifully delineated suburban home to shops and offices downtown. Dennis Mitchell was named after Ketcham’s own son and Dennis’ dad Henry Mitchell was modelled on Ketcham himself. Alice Mitchell was a pretty, blandly perfect ‘mom’ to begin with, but became less cookie-cutter generic as the series went on. 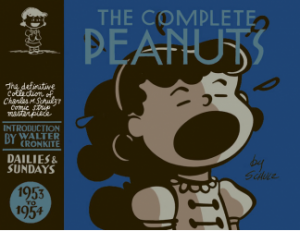 This second volume shows the characters developing personalities as funny situations now repeat themselves and various themes emerge – Dennis home with his mother, with the two parents at home together, out playing by himself or interacting with neighbours, out in the city with his parents, or away from supervision, annoying other adults and getting into trouble. Dennis the Menace is exactly what its title promises to be, a parade of misadventures in a visually rich world, where everything is turned into a playground for jokes. 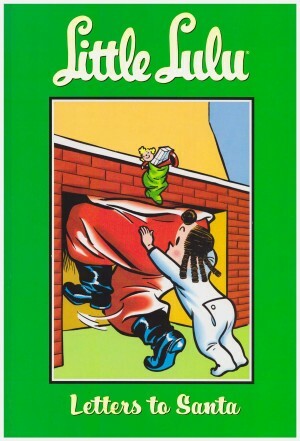 The humour is very dated and relies a lot on stereotypes that are redundant now, but the drawing still looks great. In the third year of the feature Ketcham begins splitting the image into two panels and then sometimes into four, allowing him to play with visual gags and timings, and his drawing begins to get more expressive. The first of the familiar cast members are introduced in this volume as Mr and Mrs Wilson move in next door, but things begin to assume their best-known form beginning with volume three. 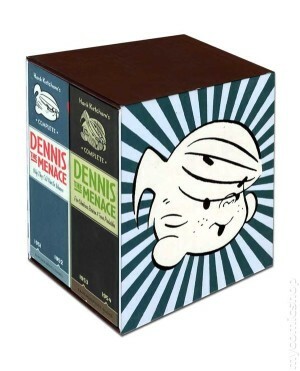 This second volume is also available slipcased with volume one, Hank Ketcham’s Complete Dennis the Menace 1951-1952 in a boxed set.